Competition may breed excellence, but it also can breed laziness. 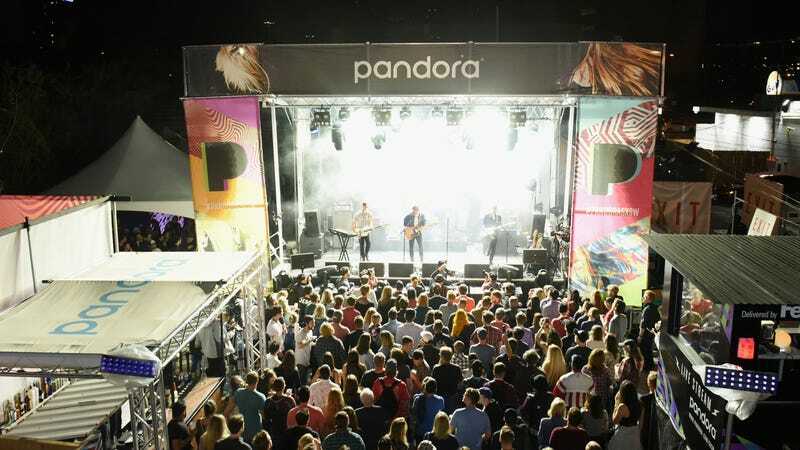 Just ask Pandora; on Monday, the internet radio service announced it will offer curated playlists across its various tiers of services. Playlists—in particular, the ones curated by humans—are all the rage, as BuzzFeed reported last year, in a story breaking down how companies like Apple, Google, and Spotify approach playlists. Pandora, which launched in 2000, has mostly stuck to digital radio rather than offering playlists, unlike its competitors like Apple Music, Google Music, or Spotify. Until now. The company has launched an initial batch of 250 playlists chosen by “wickedly expert curators.” In another nod to Spotify, the playlists are not limited to genres, but will also include moods (“I Hate My Boss”) and vibes (“Hipster Brunch”). Tight Pants Dance Party: Put on your tight pants and dance the day away with this mix of old and new highly danceable indie hits. Keep It Lit: The most ratchet hip hop to make you go HAM. Tune in and crank it up! Woke AF Comedy: Stand-up from some of the smartest comics around. Prepare to laugh and think at the same time. Or maybe people will just continue their tight-pants parties with Spotify playing.